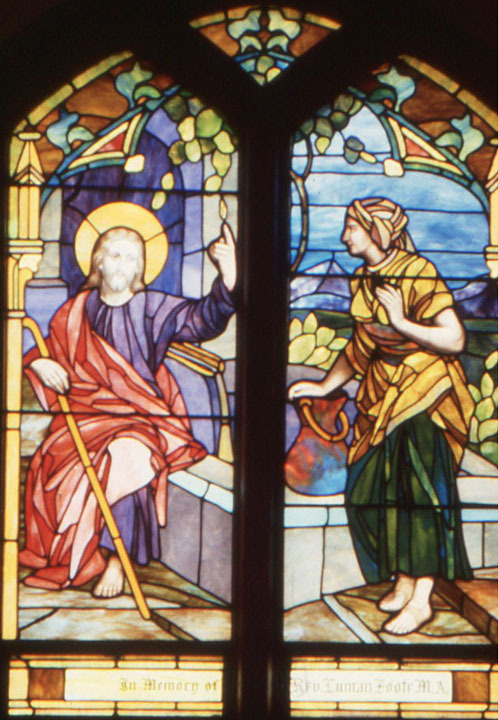 Brief Description of Subject: This window shows Jesus at Jacob’s well talking to the Samaritan woman. Inscriptions: memory of Rev. Lyman Foote, M.A.